We previously heard a rumor that Palm would be making smartphones again, the brand is now owned by TCL who also make BlackBerry Mobile devices. Now it would appear one of the companies Palm Android devices has leaked. 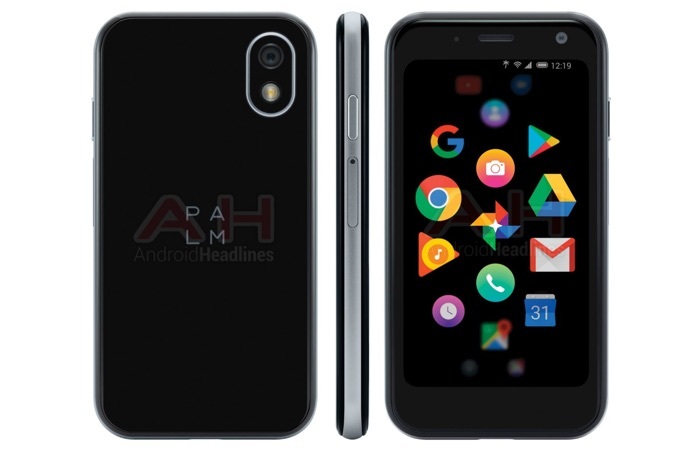 The picture above shows this new Palm Android device, which will be a budget smartphone, the handset is said to come with a 3.3 inch display with a HD resolution of 1280 x 720 pixels. The handset will come with the model number PVG100 and it will apparently be powered by a Snapdragon 435 processor. Other rumored specifications on the handset will include 3GB of RAM and 32GB of built in storage, the device is also rumored to come with an 800 mAh battery. From the specs it would appear that this is a budget device. As yet there are no details on when it will launch, as soon a we get some more information, we will let you guys know.